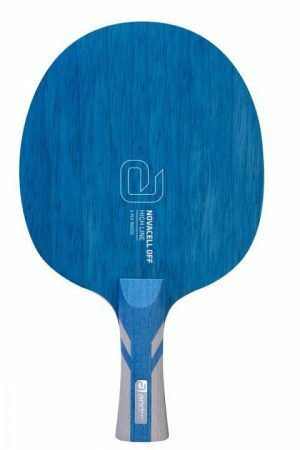 Tested and approved by top players, they play as good as they look. 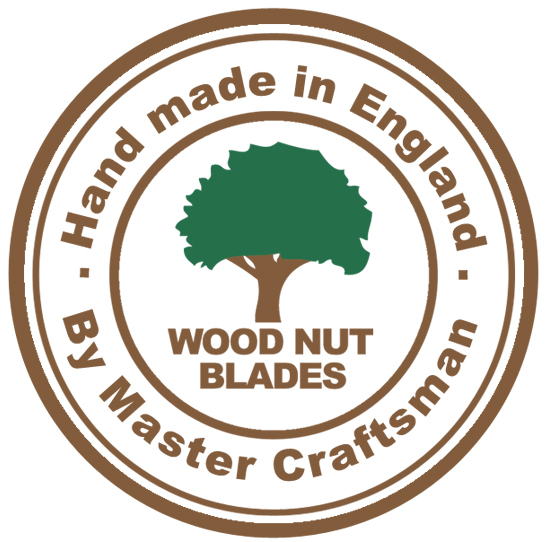 From our new exclusive bespoke blade range hand made in England by Wood Nut Blades, a master craftsman. 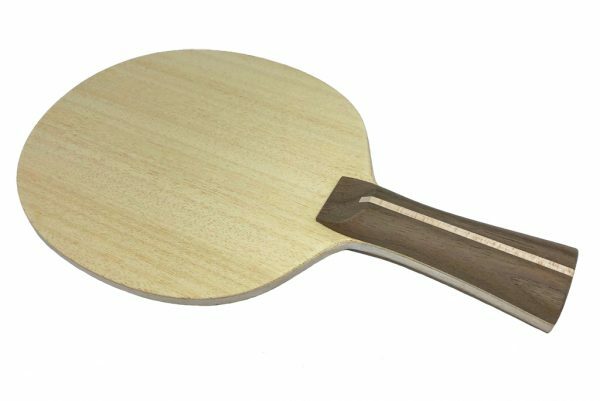 This unique 5 ply blade features a Ako Antiaris outer ply with Balsa core, finished off to a very high standard with a stunning Walnut Wood Handle with Maple Line Inlay. 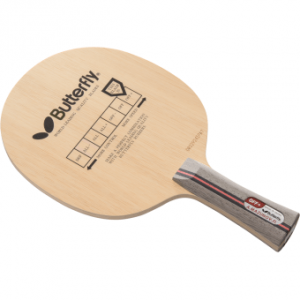 Tested and approved by top players, they play as good as they look. 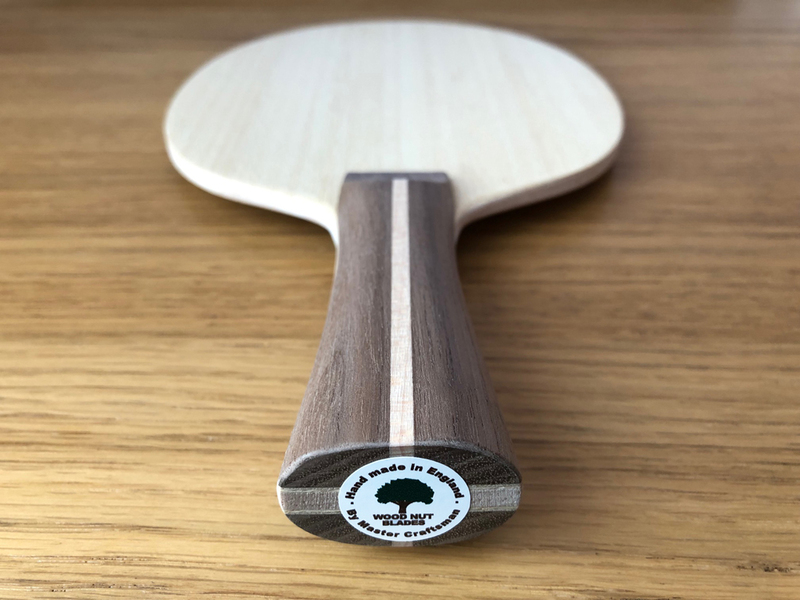 From our new exclusive bespoke blade range hand made in England by Wood Nut Blades, a master craftsman. 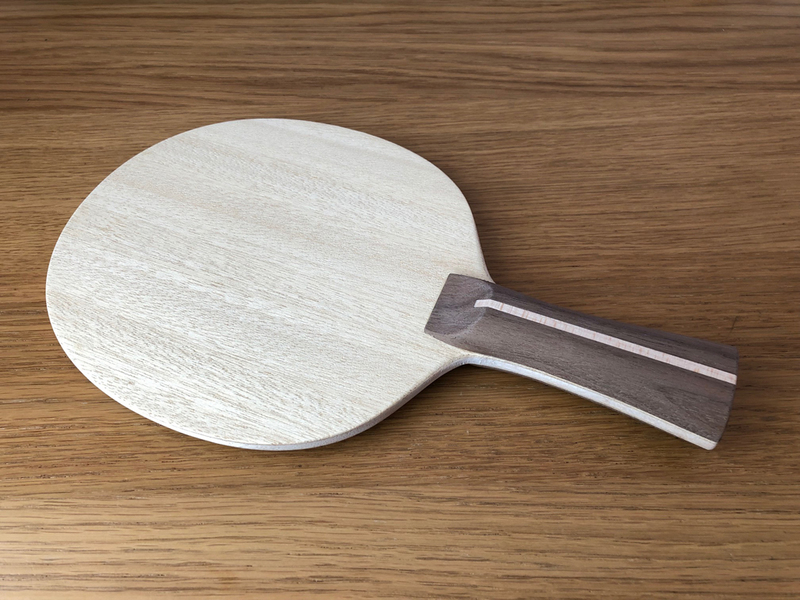 This unique 5 ply blade features an Ako Antiaris outer ply with Balsa core, finished off to a very high standard with a stunning Walnut Handle with Maple Line Inlay in a choice of handle shapes. 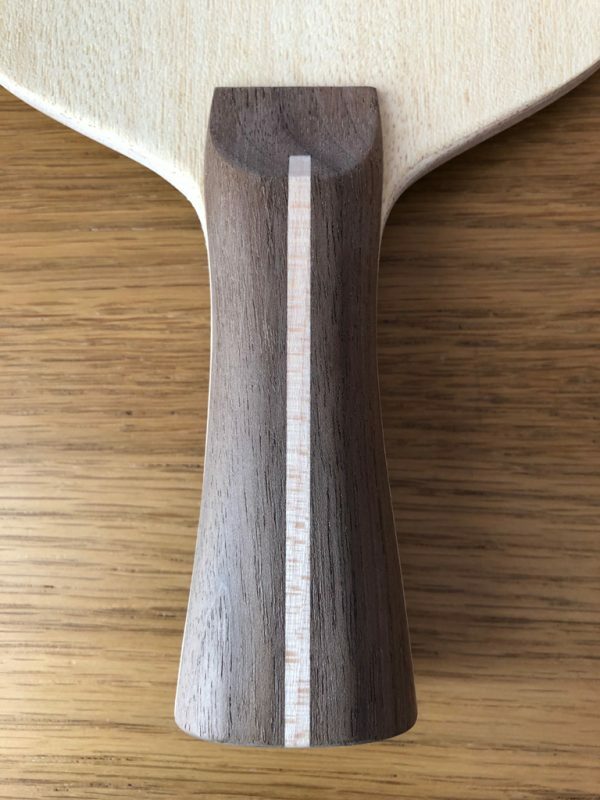 Picture shows: FL – Flared Handle. 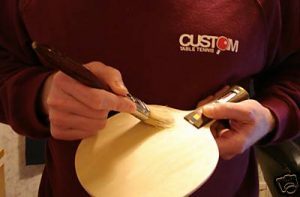 With over 30 years of handling blades we have never seen quality like this, all the ply’s and woods are hand selected. 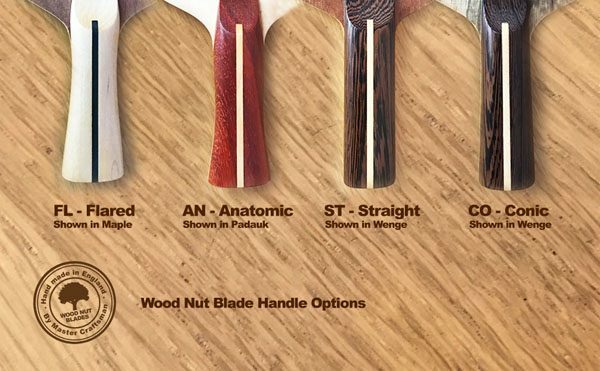 Custom Options: Choose your desired handle shape, head size and core wood in the drop down box. 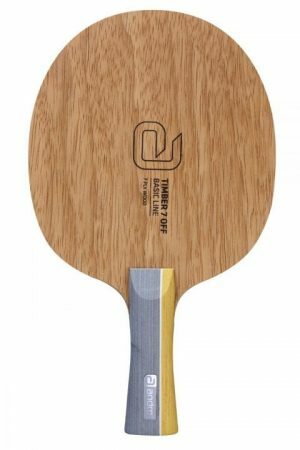 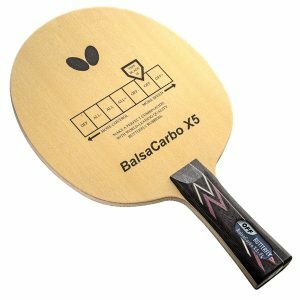 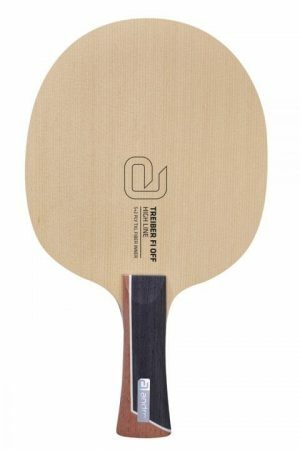 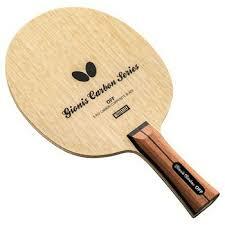 This blade is rated for Allround style of play. Please Note the blade is sealed so no splintering when changing rubbers.